Laurette Woodward has been immersed in music her whole life, and brings her incredible harmonizing skills to our production of The Adventures of Mr. Toad. Playing piano and accompanying singers and choirs as a teen was one of her earliest opportunities. As an adult, Laurette has music directed multiple theatrical productions including The Sound of Music, The Ark, Annie, Rapunzel, Wild West: a Night at the Museum, Tom Sawyer, Beauty and the Beast and most recently, Joseph and the Amazing Technicolor Dreamcoat. She also regularly accompanies at church, and she sings in small groups occasionally for fun. Laurette loves working with children and youth to build their confidence with their own musical skills. 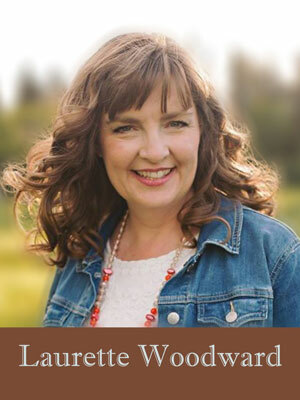 Laurette has a BA in Communications and is a freelance writer / communications consultant. Laurette has two children, both of which are involved in Cornerstone Youth Theatre. 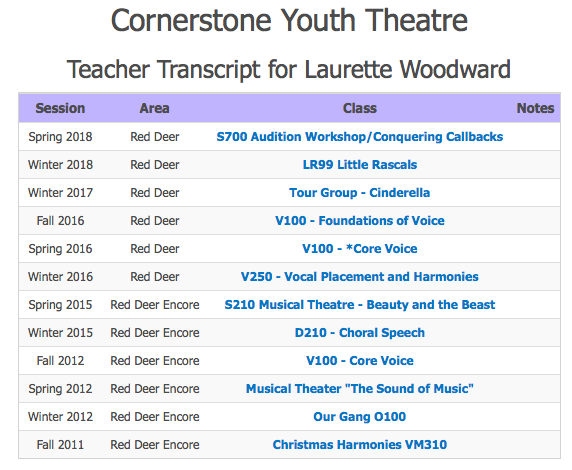 Laurette has taught many MANY classes at Cornerstone Youth Theatre, and Cornerstone can boldly assert that any children blessed to work with her, will exit the experience better singers and harmonizers.